Face it tiger you just hit the jackpot. We’ve had Gwen Stacy Variant Covers but now Spider-man’s lady in red is getting her own set of variant covers. This June (2017) Marvel is releasing 22 variant covers featuring Mary Jane Watson. See the complete list and images below. When I first started really getting into comic books back in 2011 I was picking up a lot of titles but had pretty much written off the Ultimate Universe entirely. The idea that this whole universe of comics was non-canon and thus “didn’t count” made me feel like it was a waste of time and something I shouldn’t bother with. Now 2015, years wiser and stacks of comics later I realize just how wrong I was. 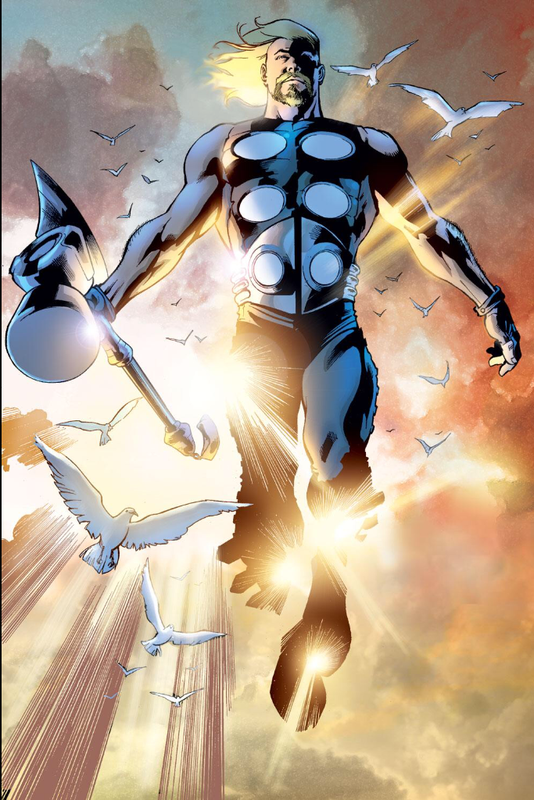 If you are completely unfamiliar with the Ultimate Universe lets get into its history briefly. Back in 2000 Marvel realized they had a problem on their hands. 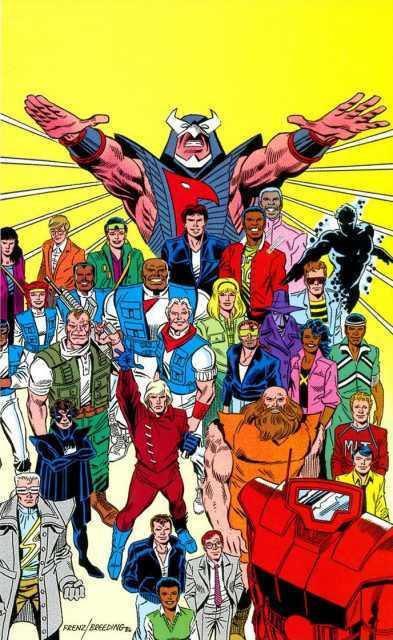 The vast majority of their comics were turning 40 years old and so the origins of their most popular heroes were vastly out of date and touch with the modern world. Marvel can do tricks with de-aging its heroes and condensing history but the fact remained that you can only really tell an origin once. Marvel was stuck with two choices. Reboot their lines so their stars have clean histories and relatable origins, or create all new characters to replace fan favorites. This isn’t a problem that was new to Marvel. Since the 80’s they had been trying to find a way to simplify the years of incoherent back story and clean the slate with its most popular characters. In the 80’s Editor in Chief Jim Shooter tried to do just that with the launch of the New Universe. Rather than reboot characters like Spider-man, the Fantastic Four, and the X-Men he decided to create a slew of new characters with the hopes they would replace the old characters and become the new foundation of Marvel. The fact that kids don’t dress up like Mark Hazzard or Star Brand for Halloween can clue you in that this idea was a spectacular failure. The lesson learned from the New Universe was that while fans want new and interesting stories fans also are also unwilling to abandon the characters they love. So creating a world of new characters was out. But how does Marvel reboot their comics? If you throw out 40 years of canon you piss off and alienate fans who have spent their lives following these characters. If you keep in 40 years of canon the characters become an incoherent mess and the story telling suffers and you lose fans. Marvel was stuck in a real catch-22 which no answer that would please everyone. Their solution was a compromise and the creation of the Ultimate Universe. The Ultimate Universe would be a complete reboot and have separate continuity of the main Marvel Universe. Fans of Spider-man could continue reading Amazing Spider-man which contained the 40 years of history. However, if fans wanted a new take on the character they could pick up Ultimate Spider-man and read it instead. The big selling point on the Ultimate Universe was that the stories would have teeth. If someone dies in Amazing Spider-man they would generally find their way to being alive again within 5 years. In fact it became such a joke that the saying was “No one stays dead in comics except Bucky and Jason Todd” (who ironically have both been brought back to life in the last 10 years). The promise was that if someone died in the Ultimate Universe they would stay dead. The Ultimate Universe kicked off with Ultimate Spider-man in October of 2000 written by Brian Michael Bendis in October of 2000 which remains the only Ultimate title that was still ongoing prior to 2015 Secret Wars (which has temporarily suspended all titles for Marvel). 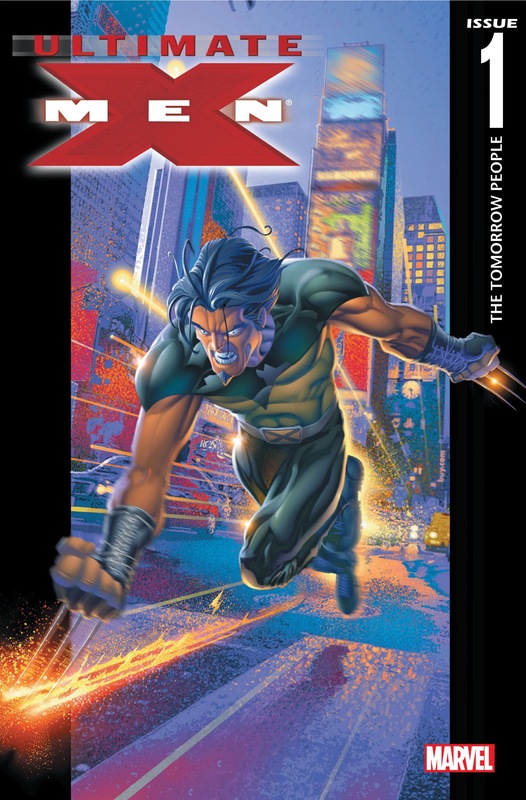 The next titles were Ultimate X-Men written by Mark Millar, The Ultimates (the ultimate universe version of the avengers) written by Mark Millar, and Ultimate Fantastic Four also written by Mark Millar. There were more limited series, one shots, and ongoing series that came and went but these four are what I consider the pillars of the original Ultimate Universe. These four titles represent the characters that were some of Marvel’s oldest and were most in need of a updated origin. 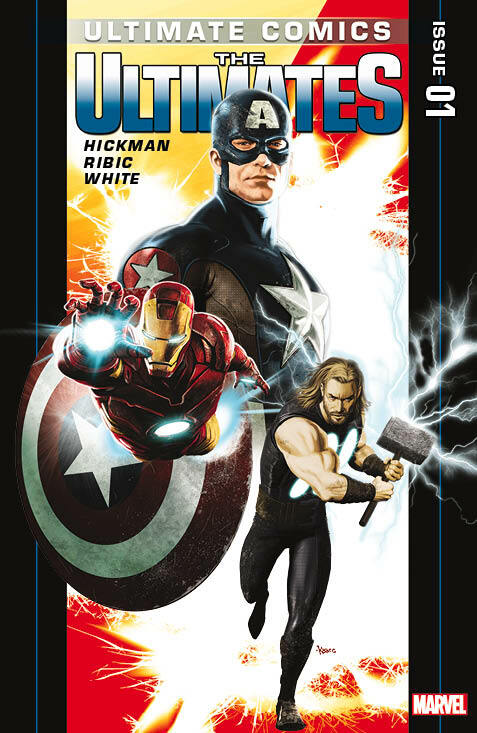 I started my dip into the Ultimate Comics pool with reading Mark Millar’s Ultimates 1 and 2. These are both limited series runs with Ultimates 1 having 13 issues and Ultimates 2 having 15 issues. I have a subscription to Marvel Digital Unlimited so I figured what the hell, it doesn’t have a ton of issues I’ll give it a shot. After reading the first arc (issues 1-6) I was hooked and finished out the series. I don’t know if I can place my finger on what I like most about Millar’s Ultimates but overall its just a fun read. It’s got some truly shocking moments (Ant-Man and Wasp) and just plain crazy stuff in there as well (Hulk). Millar makes bold choices are gives a version of these characters that I have truly never seen before. I never imagined a Hippie version of Thor, psycho version of Hulk, or a Black Widow / Iron Man romance but somehow Millar makes this work. I really liked that Millar decided to take so many of these characters in different directions because if you are going to do something as big as create a whole new universe of Marvel characters you really should do something interesting with it. Once I got hooked on the Ultimates I started looking for more titles under the Ultimate Comic brand to read. My next read was Ultimate Spider-man. 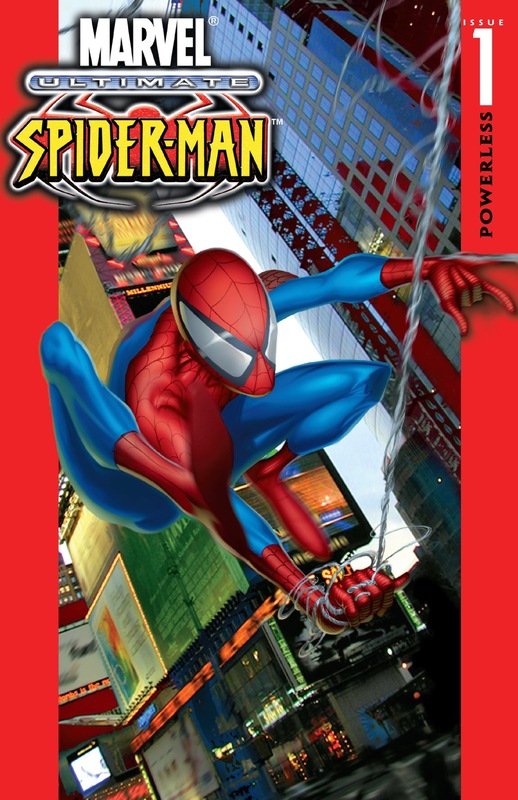 So far I’ve only read the Volume 1: Power and Responsibility which is a retelling of Spider-man’s origin. Out of all the Ultimate stories I’ve read so far Bendis’s Spider-man is the most straightforward adaptation. There aren’t a lot of frills here, just a update of the classic story. The Ultimate Peter Parker is still bitten by a now “genetically enhanced” spider, uncle Ben still dies, Power and responsibility are learned. I don’t want this to sound like Ultimate Spider-man is not a great read, because it really is. If someone wants to read Spider-man and start from the beginning this is where they need to go. It is a well told update of a classic story. If anything Ultimate Spider-man proved that Stan Lee really nailed it with this story, in this case we don’t need a gimmick, just a little update. These days if you hear the word Ultimate Spider-man it isn’t associated with Peter Parker at all but the new Ultimate Spider-Man Miles Morales. In 2011 after 160 Ultimate Spider-man ended with the Death of Peter Parker and the introduction of Miles Morales in a new on going series Ultimate Comics Spider-man. Next I read Ultimate X-Men. Ultimate X-Men is much more liberal take on the origin of the X-Men. It throws us right into the mix where the original X-Men are already at the Xavier Institute for Gifted Youngsters. There is the establishment of Magneto and the Brotherhood of Evil mutants and the first arc is centered around that clash. 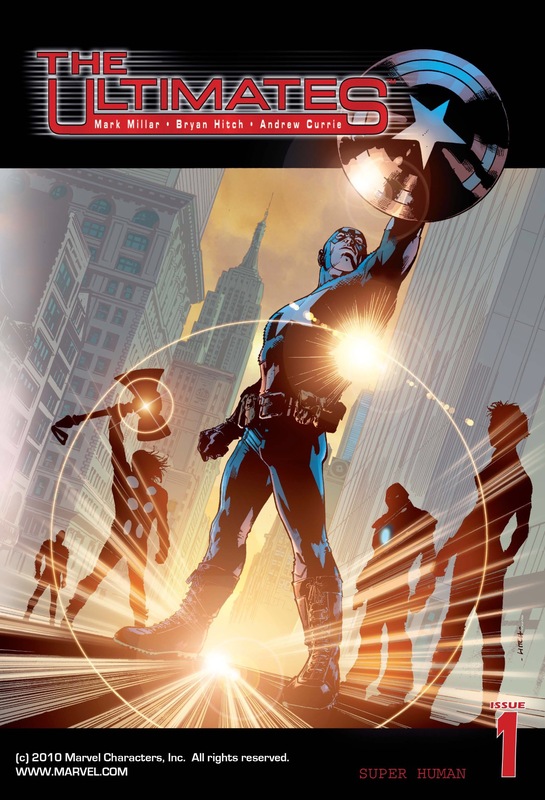 The series also distances it self from the regular Marvel universe and establishes complete different back stories for many of the characters. Wolverine starts as an spy for Magneto and immediately begins a relationship with Jean Grey (who has not been in a relationship with Scott Summers). Beast and Storm begin a relationship early on and Weapon X is a program started by SHIELD. I enjoyed reading the first volume of Ultimate X-Men and continued reading it through the first 30 or so issues. The downside to Ultimate X-men is that while it is an “update” of the X-Men origin story it is already beginning to feel aged being 15 years old now. The first issue cover alone has a very “Lisa Frank” feel to it and the style of the whole thing screams early 2000’s. 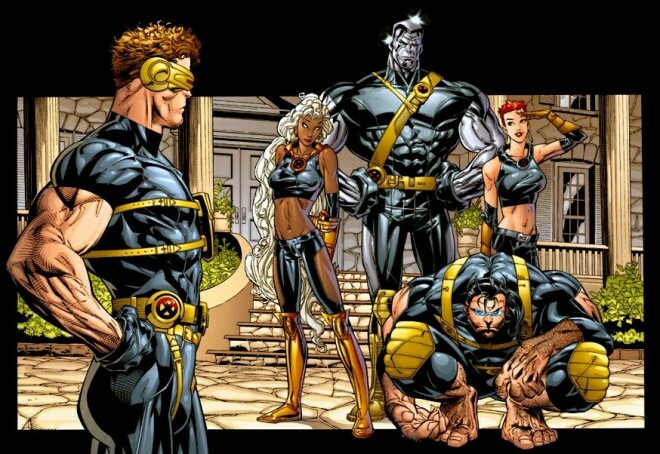 If someone wanted to get into the X-Men with no prior history I would probably point them toward 2012’s All-New X-Men instead of Ultimate X-Men. That being said I would definitely recommend the series to anyone. 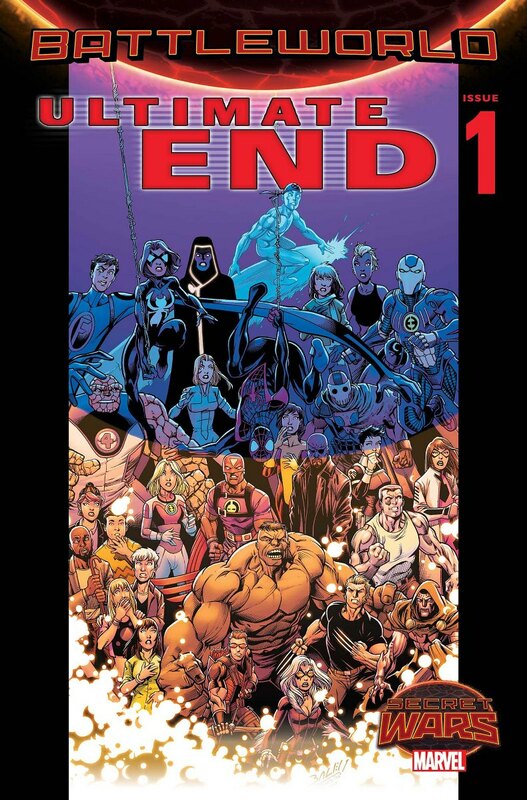 Most recently I have started reading Ultimate Fantastic Four. This is actually the first Fantastic Four comic book series I’ve ever read. Like most of the country I just don’t find the Fantastic Four appealing at all, and out of all the big Marvel properties it feels the most out of date. If any series could use a fresh coat of paint and an updated origin it is Fantastic Four. I started just reading Volume 1: The Fantastic and to my genuine surprise I loved it. Changing the Baxter building to a sort of Hogwarts for super genius kids was a great change. I thought the re-imagining of their origin made sense and was much more relatable than the original Stan Lee origin. In fact I was actually really stoked to go see the new Fantastic Four film knowing they pulled a lot of the source material from the Ultimate universe. 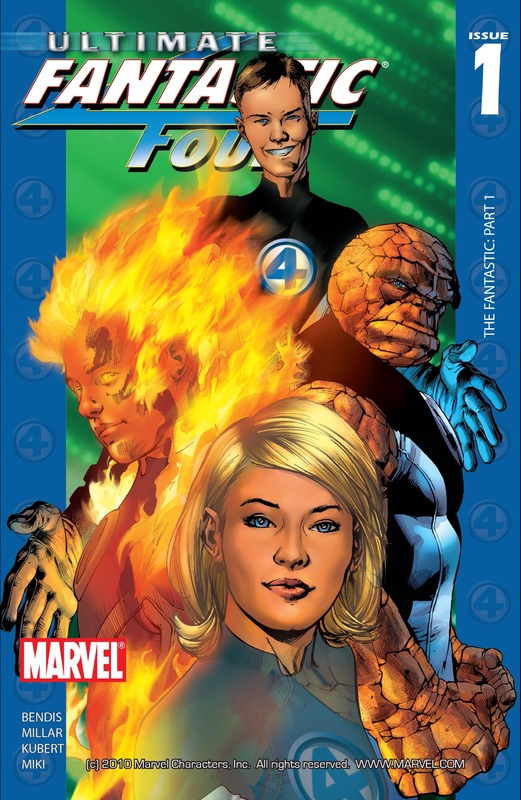 That was of course, until the reviews starting coming in… This is definitely a book I would recommend to anyone especially if they are new to the Fantastic Four. Having this renewed interest in the Ultimate Universe it’s sad that the current Secret Wars mini-series currently in production is actually ending the Ultimate Universe altogether. Fantastic Four and X-Men had a decent run but started falling off in the late 2000’s (both Ending in 2009). Marvel tried to revive the line in 2011 with the new Ultimate Comics line with a new Ultimates, X-Men, and Spider-man but they winded up canceling most the titles by 2014. Prior to Secret Wars the only ongoing Ultimate title left in production was Spider-man. At the end of the day Spider-man has been the real break out title of the entire Ultimate line and the only title to continually release since it’s inception in 2001. 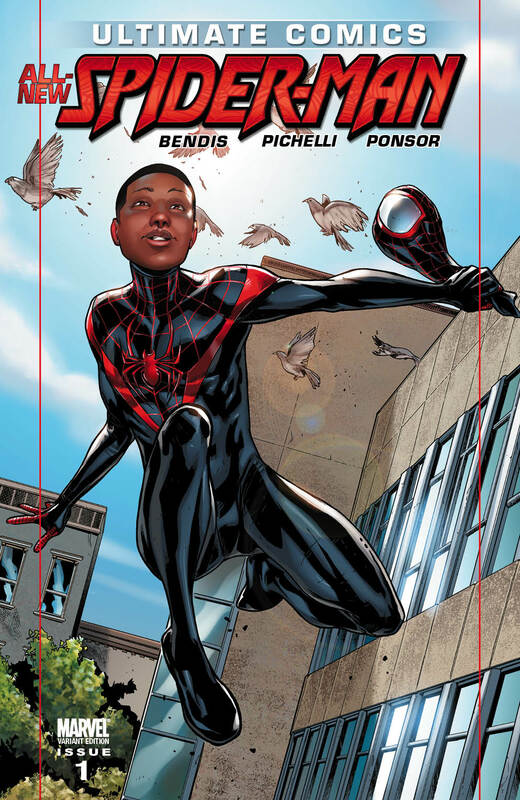 Miles Morales has been an extremely popular character and will be folded into the All-New All-Different Avengers main team following Secret Wars. 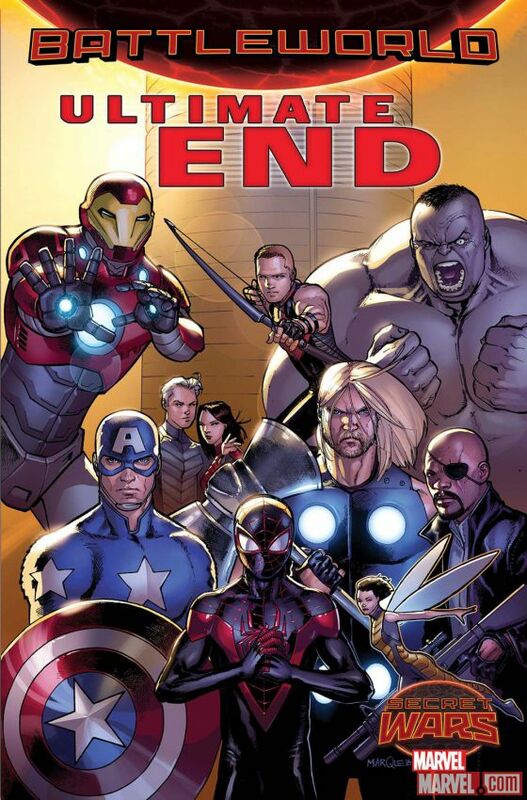 For the time being it looks like there will no longer be an Ultimate Universe and only one main Marvel Universe. My thought is that in the next 5 years we will reach the 20th anniversary of the launch of the Ultimate Universe and that Marvel will look at it as a good time to reboot the franchise. Until then I still have a decade worth of Ultimate material to keep my occupied. Now that I have you chomping at the bit to read some Ultimate Comics where can you buy them? If print is your preferred method you can pick up trade paperbacks pretty much anywhere comics are sold. You will also likely have good luck finding copies of these trade paper backs at used book stores or for cheap online. If digital is your method you can get the majority of the Ultimate universe on kindle, comixology, google play, itunes, or where ever you buy digital books. However, if you really want to dig into the Ultimate Universe I would suggest looking into getting a subscription to Marvel Digital Unlimited. It is an all you can read Netflix style comic book service for Marvel Comics and they have literally every issue of every Marvel Ultimate comic for you to read until your eyes bleed. 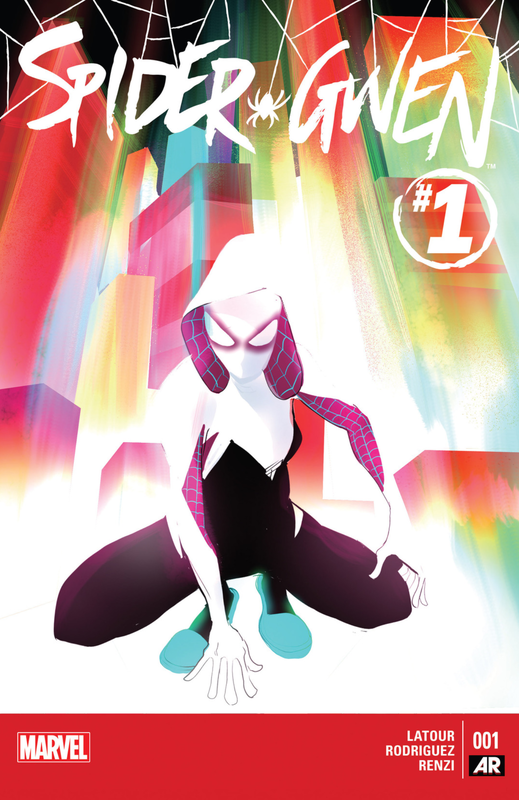 The first issue of Spider-Gwen finally came out as part of its own new on going series this past Wednesday. Now you might remember Spider-Gwen from her first appearance in Edge of Spider-verse 2. I’ll write a separate blog post just about the Spider-verse but the long and short of it is the Inheritors are killing Spider-men across every parallel universe and in order to stop them a team of Spider-men from across the multiverse team up. So because this event involves many different versions of Spider-man Marvel released a five part series to re-introduce and in some cases introduce for the first time, some different versions of Spider-man. Issue 2 of the Spider-verse introduced the world to Spider-Gwen. It’s been the break out issue of the series. As of right now it is entering it’s fifth print run and on Ebay 1st print run issues of Edge of Spider-verse 2 are going for as much as $150. So it was no surprise that Marvel decided to spin out a on going series based on Spider-Gwen. The series is written by Jason Latour with art by Robbi Rodriguez, who were the team that wrote and drew the Edge of Spider-verse issue 2. So before we talk about Spider-Gwen let’s catch up, and they even provide us with a foundation of her on the first page of Edge of Spider-verse 2. So in this universe our Spider-gwen is thought to be responsible for the death of Peter Parker. She is actually thought of as a villain, all though she is actively helping people out. Because of this Kingpin sent out a goon to help recruit Gwen to join his forces. A fight ensued and Gwen was forced to reveal her Identity to her dad. 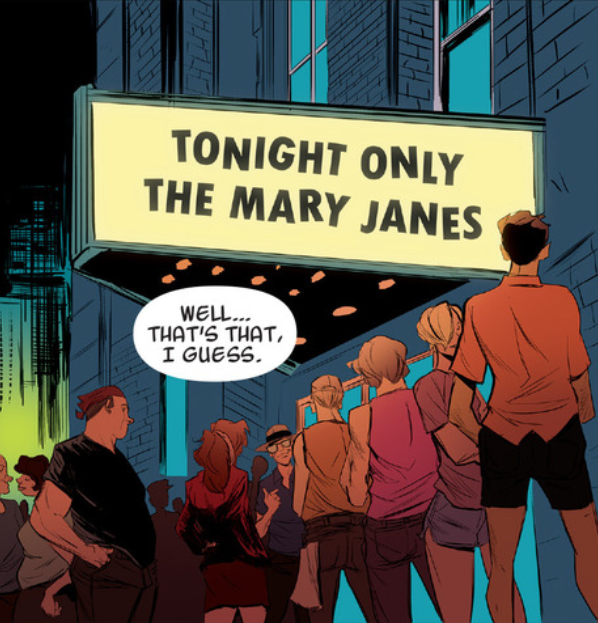 Not only does this world’s Gwen have spider powers but she is also in a rock band “The Mary Janes” which has a hit single “Face it Tiger”, which is the most adorable thing ever. The first issue of Spider-Gwen picks up right where Edge of Spider-verse 2 left off. Gwen is trying to prove to her New York that she is a hero not a villain while trying to balance life as a teenager. The art is fantastic and makes a lot of use of the secondary color pallet. The sound description words have a cool stylization and make the pages really pop. We get a lot of interesting stories threads in this issue, we get the one going struggle with Gwen and her dad, the infighting between Gwen and the band, a new threat of the Vulture, and ongoing thread of the King Pin. The first issue was really fantastic and keeps the spirit of what they started in Edge of Spider-verse 2 and the lightness and fun that makes Spider-man such an enjoyable character. Spider-Gwen is on my pull list and I can’t wait to get the next issue. If you would like to buy a copy go to your local comic book shop (soon it’ll sell out) or pick it up here at Comixology. As a little added bonus I tracked down all the variant covers I could find. I’m still finding variant issues as there were a lot of retailer specific ones out there I didn’t know about. I’ll update this as I find them.